Mix sugar, flour, and eggs in a large bowl, then sprinkle your technicolor take on the common, everyday cookie, and what do you get? You'll have to try the tasty and colorfully-sweet cookie-scapes in our Pop Art Cookies Top 10 to find out! 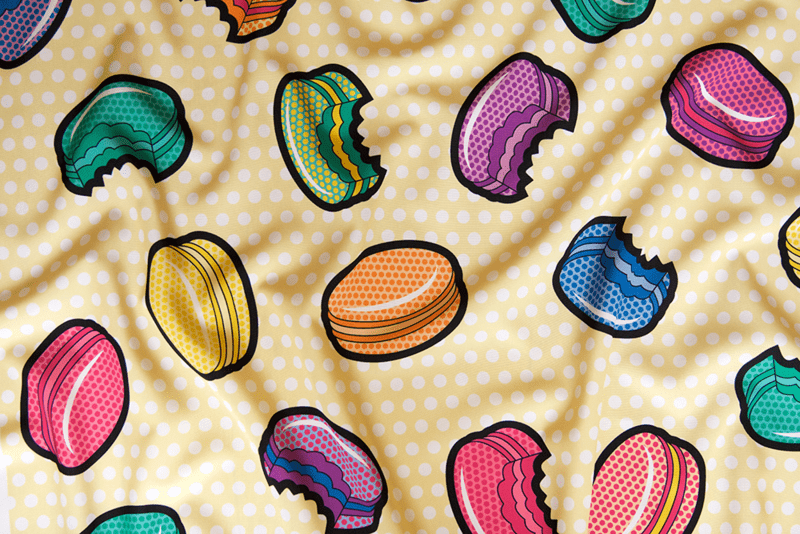 Give a big congratulations to the winning design "Licktenstein macarons – yellow" by first-time Design Challenge winner Kritterstitches! Check out the photoshoot of all the beautiful designs printed on Silky Faille fabric on our Facebook page today! Why did the pop art chicken cross the road? 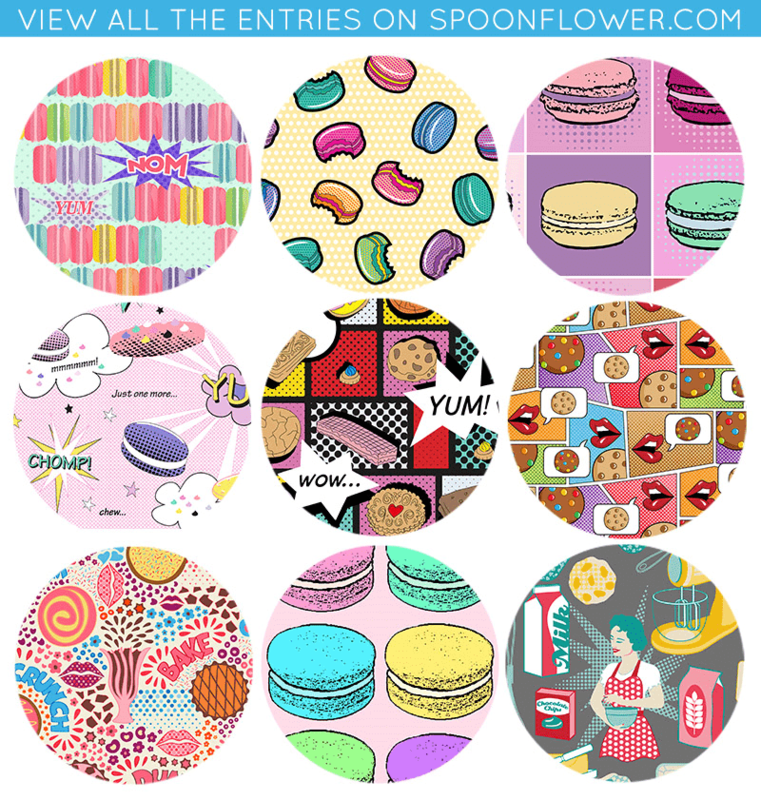 As you may know, here at Spoonflower we've managed to run fabric design contests every week, without fail, for over four years without repeating a theme. 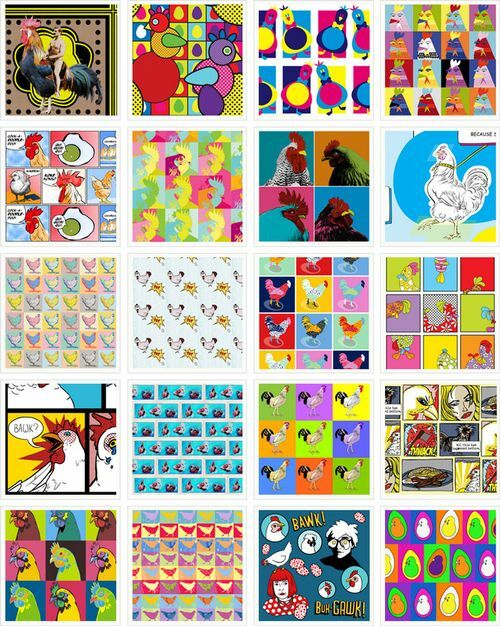 The strain of coming up with new ideas for contests never shows, however, which is why we invite you — without comment, please — to vote now in our competition for chicken fabrics created in the style of the Pop Art movement. [Read more…] about Why did the pop art chicken cross the road?